When you install Embedded Chat your site immediately becomes social. Your visitors will get a much better way communicate with you and each others using our group chat rooms. Having Embedded Chat in your site will provide you a real time feedback from your visitors. This will allow you to know what they think and what they like of your site. A better social experience will lead to more visits on your site. In addition your visitors will be able to invite their social networks friends to come and see it. This is how the embedded chat would look on your site. You can test it live here. Get The New Facebook Messenger Widget! Allow your customers to send you individual messages using Facebook. Manage your customers messages on your Facebook page. 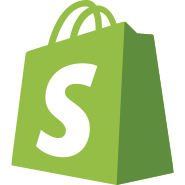 Get The Embedded Chat Shopify App! Not on Shopify but want to open your E-commerce store? Signup now using This link and get the Embedded Chat app or any other Dev Cloud App for Free! These are some of the embedded chat features. We plan to develop a lot more. Keep an eye over your admin panel to see news. And even submit your feature request using our custom plan. Choose the theme you like or create your own. Also customize the widget html and css if you want. Allow the users to login with Facebook, Twitter, or just by picking a nickname. Provide them a way to bring their friends to your site. Create chat channels / groups as you like. Use different channels based on the url. Manage everything from the admin panel. Chat with your visitors across multiple channels. Customize your admin profile pick and nickname. Block troublesome users. Thank you for accepting cookies! You can now safely return to the site to login and chat.